In order to create durable cabins with an optimum climate, the selection of the right wood is crucial. 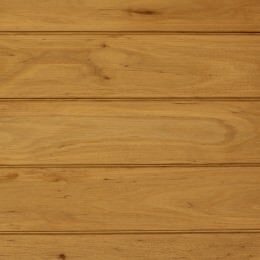 Each type of wood has specific characteristics. We offer a wide range of real wood panels to ensure each INUA cabin is able to blend harmoniously with its surroundings. 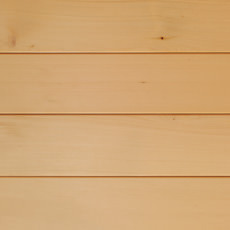 This is a heat-treated classic sauna wood that guarantees a fantastic sauna climate. Naturally it has a light colour, but the heat treatment darkens the timber to protect and enhance gain structure. We use it for external panelling. 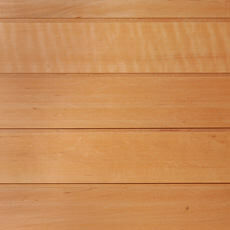 Alder has a delicate reddish shade that deepens with age and is slightly variegated to provide an interesting feature. The alder is a native member of the birch family, and as such is a deciduous tree. Its wood has a fine, even structure, and its softness makes it easy to work with. We use it for outside and inside panelling. The heat treatment improves the properties of alder and makes it more durable and resistant to water. We use it for outside panelling. Aspen is sometimes called the «quaking» or «trembling» aspen. 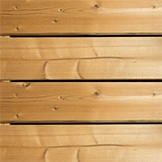 It is a traditional sauna wood that has a light and even colour and is odourless. Aspen is long lasting and elegant in appearance. Due to its low heat conductivity, its temperature remains pleasant on the skin during the sauna. We use it for cabin benches and inside panelling. Aspen is naturally light in colour. The heat-treating process darkens the timber to a rich and warm colour that is durable and resistant to humidity. 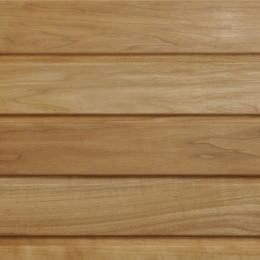 We use it for cabin benches as well as for outside and inside panelling. 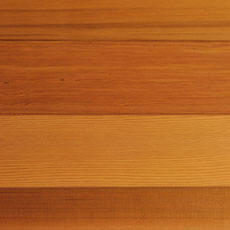 Red cedar is renowned for its high impermeability to liquids and its natural phenol preservative. It is ideally suited for exterior and interior use where humidity is high. It is aromatic, low-knot wood with a dark, reddish-brown colour. It is very durable. We use it for outside and inside panelling.